What is that white stringy thing in my egg? Ever noticed those two white, stringy cords floating around in a freshly cracked egg? They’re the chalaza, and they’re not a sign that your egg is defected or partially cooked or anything like that. They’re actually there to keep the yolk in place. Growing up, my mom taught me to take a fork and remove them from the egg before baking. She reasoned that the chalaza can harden while baking, resulting in an occasional — and unwanted — chewy particle in your baked goods. Now, I can’t cook anything involving eggs without removing them. However, as I’ve grown up, I’ve noticed that most cooks just crack eggs directly into batters without even mentioning the dreaded chalaza. Did these crazy culinary-school grads know nothing?! Were they too busy flashing their pearly whites on camera that they didn’t notice?! How could they commit such madness?! It made me wonder: Do you really need to remove the chalaza before baking? You don’t have to, but you might want to, depending on what you’re baking. The chalaza is safe to eat when cooked. In most cases it doesn’t break down during the baking process, so yes, you could bite into it. For chewy dishes, it may not be noticeable, but as Good Housekeeping notes, it’d stick out as awfully as an eggshell fragment in smooth desserts like custards. 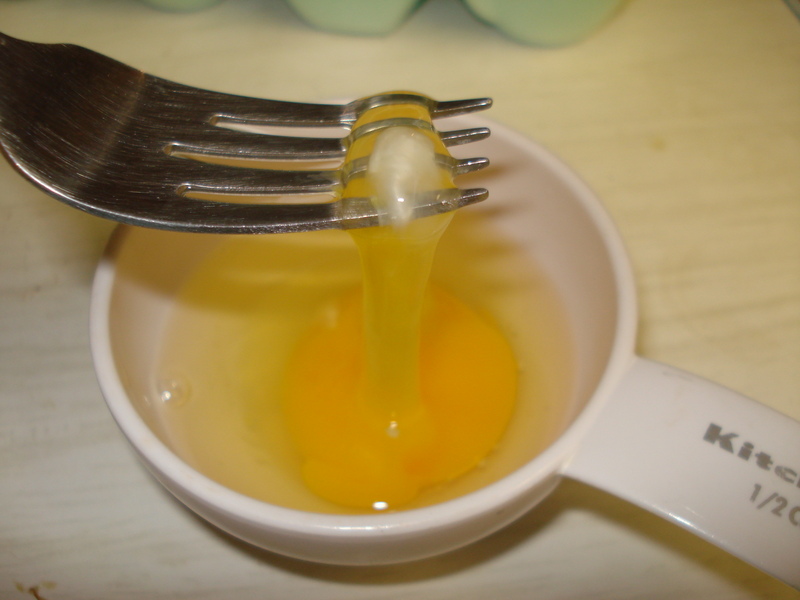 Some cookbooks, such as the aforementioned GH tome and The Good Egg, recommend straining puddings and custards to remove the hardened, cooked chalazae. Instead, just use a fork to pull out the pieces before you start baking. It’ll take less time and give you one less utensil to clean.